(Margarit, 54). This cozy spot, which opened in 2009, was previously a car repair shop. Before dealing in vermouth, Eduard, its owner, had sold virtually every other good, and has all the salesman’s charm to show for it. In addition, he’s also behind the bodega’s remarkable decor. Among its delectable menu, the croquetas are particularly exceptional, as well as the Xapines, a kind of toast with a plentiful helping of toppings, or the papas arrugás, served with three kinds of dipping sauce. Like any good bodega, Cal Marino sells wine in bulk, and also offers an extensive array of individual bottles. (Vallhonrat, 18). It’s only fitting that there’s a bodega like this in a neighborhood as lively and charismatic as Poble Sec. Xavier and Asun have run this bodega for over 9 years, and their style and personality gives the space a truly special atmosphere. It’s a small on space but huge in offerings. You’ll find wine in bulk, fine vermouth, a wide variety of vintages, and amazing anchovies, too. (Blai, 1). 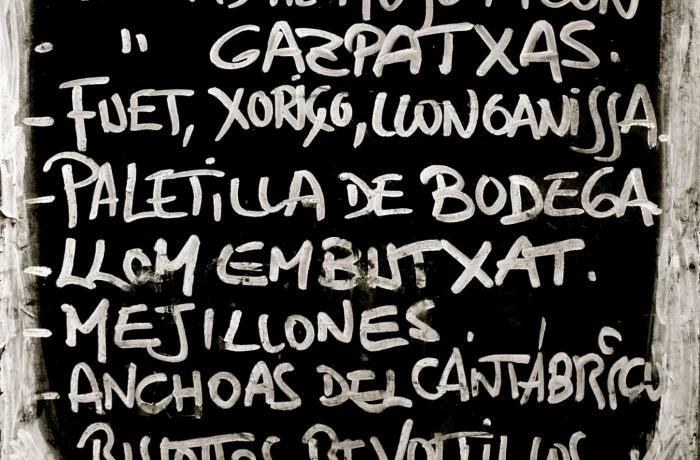 La Tieta is not much more than a granite bar stocked with fine wines and vermouths. It’s one of those places where they pour a nice draught, and offers a particularly charming terrace. Owners Eli & Irene have decorated it such that while it’s a relatively young establishment, it seems like it’s been around for years. The housemade vermouth, fine wines, and artisanal beers are always abounding. This special spot also hosts wine tastings in a very cozy environment. (Poeta Cabanyes, 25). 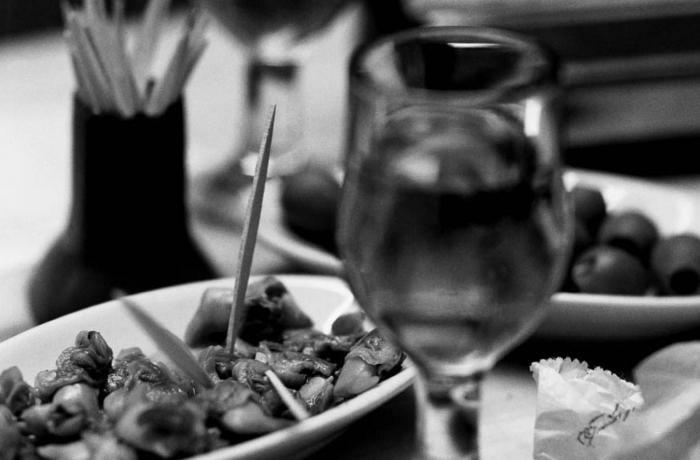 Since it first opened its doors in 1914, four generations of Quimets have served up delicious tapas, fine wines, and a fine sense of humor, and this place is still here to prove it! This miniscule bar-bodega pleases its loyal customers with incredible versions of classic tapas and market dishes. It is literally a sin to miss their smoked meats, cheese plates, or small dishes, like the anchovy and yogurt sandwich. (Margarit, 27). Amongst an extensive collection of lighters, we find a few pleasing surprises: delicious draughts, cheese in oil, housemade tortilla and cured meats from Zamora, plus friendly service to top it all off… What more could you ask for?